While at a holiday benefit event in 2009, Founder Sonja Perkins noticed that there were never enough gifts for teenage girls. She began Project Glimmer to provide young women with beautifully boxed presents on special occasions. At an age when self-expression is so important, Project Glimmer strives to make sure each girl’s gift will inspire her and make her feel valued by the community. They purchase and receive donations of new beauty products and quality, gently-used jewelry and accessories. The wares are then distributed to various nonprofits, who in turn give them as gifts to the girls they serve. By supporting Project Glimmer, you can bring a little sunshine to a young woman on her birthday, graduation, during the holidays, or on any special occasion where she deserves to be celebrated. 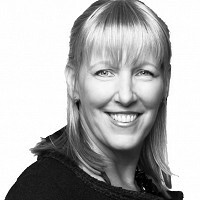 Hi, I’m Chrissy Shea and I am the Executive Director of Project Glimmer. Project Glimmer is dedicated to inspiring underserved and at-risk teenage girls and women to believe in themselves by letting them know their community cares. We foster hope, love, and support at critical times by providing beautiful gifts and inspirational messages. Everyone at Project Glimmer is excited to share our story on The Grommet! What inspired Sonja Perkins to start Project Glimmer? Our story begins in 2009, when our founder, Sonja Perkins, attended a holiday benefit for the San Francisco Firefighters Toy Program. Inspired by their giving, she later called the the program to learn how she could give more. She discovered that there were plenty of gifts for kids, but there were never enough for teenage girls. 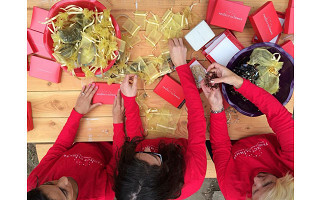 That year, Sonja launched the first “Glimmer Drive.” She encouraged friends and family to donate jewelry, gift cards, and new makeup/beauty products, and gathered up her friends to help box and polish the gifts like new. Since our founding, Project Glimmer has seen such an impact within this population having given over 130,000 gifts to girls and women, and has realized that these kind of gifts give confidence and joy to girls in their most formative years! How is Project Glimmer making a difference in communities around the U.S.? Many of the girls and women that we work with typically don’t receive many (if any) gifts during the holiday season, on their birthdays, and to celebrate big events in their lives. When we offer them high-quality and beautiful gifts, it changes their view on their own self worth, and demonstrates that the community around them cares. What are some unexpected rewards and challenges in building and leading Project Glimmer? For me, a lot of the unexpected rewards come from the feedback we receive from our community partners. This past year we sent out a survey asking for anecdotes about our impact on the women and girls we serve. We received story after story of women and girls feeling more confident because they had a nice piece of jewelry or a great purse to rock at a job interview or housing appointment. There were stories of girls with tears in their eyes with disbelief that they had received such a nice gift. As for challenges, honestly, just keeping up with it all. We are growing so fast and it seems that every organization has a need for inspiring their girls and women to believe in themselves. Obtaining product donations, monetary donations, and keeping the organization running efficiently with a lean team is challenging, yet rewarding. What elements of Project Glimmer's work did you consider essential from the beginning? One of Project Glimmer’s ‘rules’ is that no gift can ever disappoint. We have strict guidelines making sure every piece of jewelry, makeup, accessory, etc. is perfect and beautiful. This demonstrates to the girls and women that they are worthy of receiving something special and amazing. While at a holiday benefit event in 2009, Founder Sonja Perkins noticed that there were never enough gifts for teenage girls. 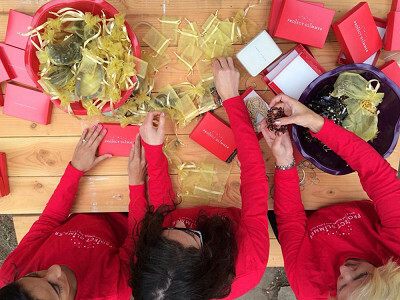 She began Project Glimmer to provide young women with beautifully boxed presents on special occasions. At an age when self-expression is so important, Project Glimmer strives to make sure each girl’s gift will inspire her and make her feel valued by the community. They purchase and receive donations of new beauty products and quality, gently-used jewelry and accessories. The wares are then distributed to various nonprofits, who in turn give them as gifts to the girls they serve.